$3M Genius NY Business Competition – 5 Finalists » UAV DACH e.V. Product: Company is developing what it calls an “autonomous land surveyor.” Drones equipped with its system place surveyor stakes in the ground to mark locations at construction sites for such things as utilities, foundations, support posts and poles. “The information is clear and precise,” he said. Vermeer founder and CEO Brian Streem said the company’s smartphone app uses 3D data of the whole earth that permits anyone to map out a path for a drone by simply moving their phone around an augmented reality image. Vermeer is selling the system directly to media companies and through Apple’s App Store to aerial photo and video enthusiasts. The company also sees potential customers in the real estate industry, marketing agencies and companies that inspect roofs. 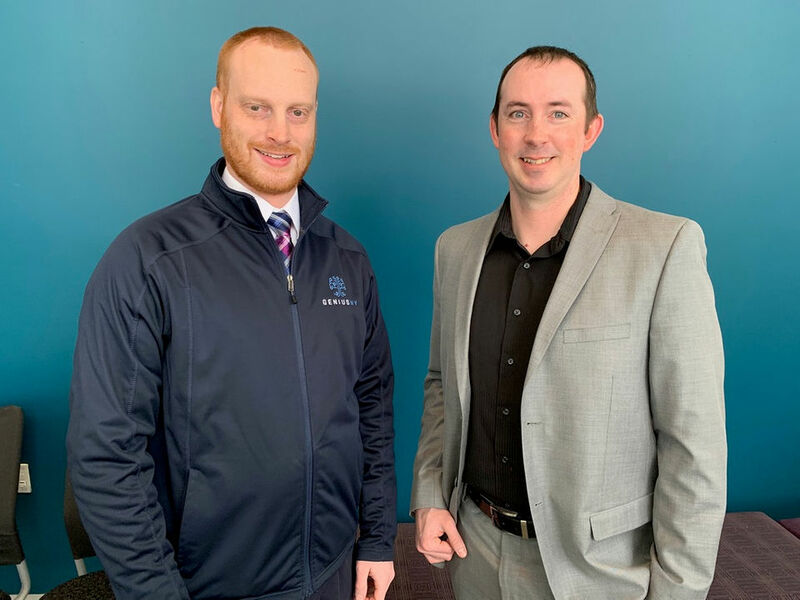 EagleHawk Chief Operating Officer Will Schulmeister, left, and CEO Patrick Walsh, right, are pictured above at the Syracuse Technology Garden. Walsh, an aerospace engineer, said the company’s system works by detecting the different heat signatures given off by a roof that has been penetrated by water. 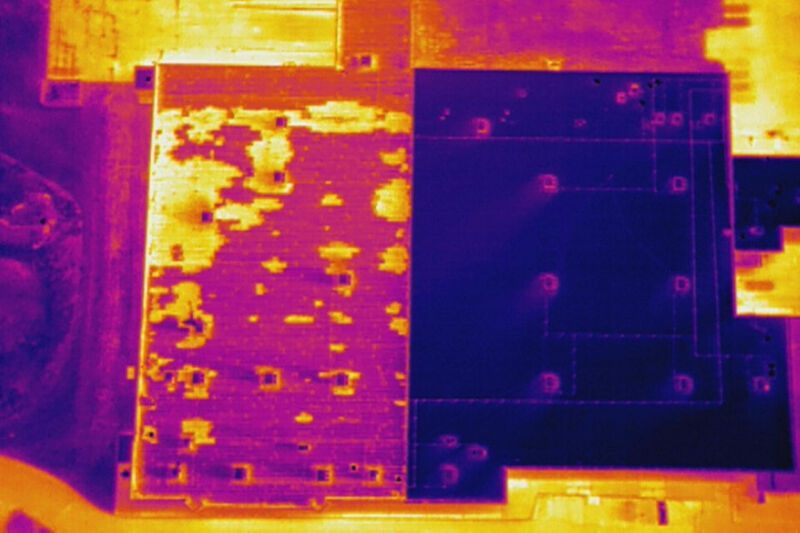 Leaky areas of a roof show up as very bright spots on photos taken with drones equipped with an infrared sensor. “It allows us to diagnose the condition of the roof quickly and effectively,” he said. In addition, the company’s software helps analyze the severity of the leaks and creates a maintenance plan that can substantially extend the life of the roof, saving the owner money, he said. Customers include colleges and universities, shopping malls and just about anybody that owns buildings with big roofs. Product: Company is developing a hybrid micro gas turbine engine that recharges the batteries of drones in flight. 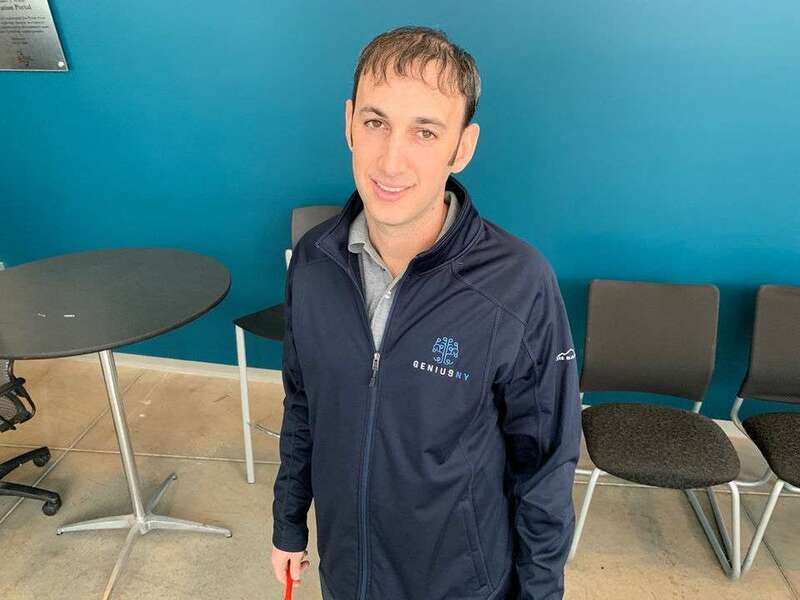 Miguel Dupret (pictured above), a shareholder in Sentient Blue Technologies, said the company’s engines will be able to more than double the range of drones from an average of about 30 minutes to more than an hour. Its power hybrid systems can be attached to most larger drones (more than 20 pounds) on the market, including multi-rotor and fixed wing drones, he said. The company is currently building prototypes of the motors and anticipates selling its products to military and commercial customers. Product: ResilienX is developing software to increase the resilience and reduce the maintenance costs of unmanned traffic management systems. 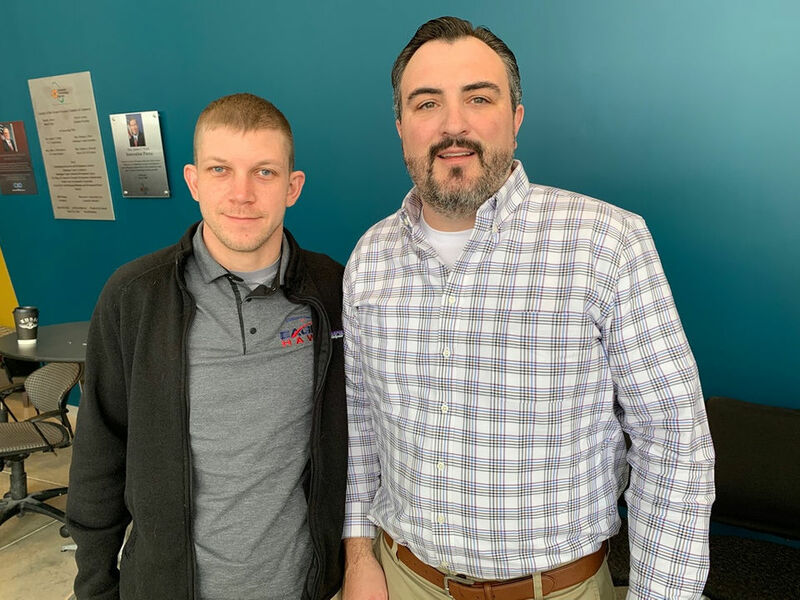 Above, ResilienX co-founder and business director Ryan Pleshkach, left, and co-founder and President Andrew Carter, right, at the Syracuse Technology Garden. Carter said the company’s software will monitor air traffic control systems for drones, alert operators when there is a malfunction and help them correct the problem. 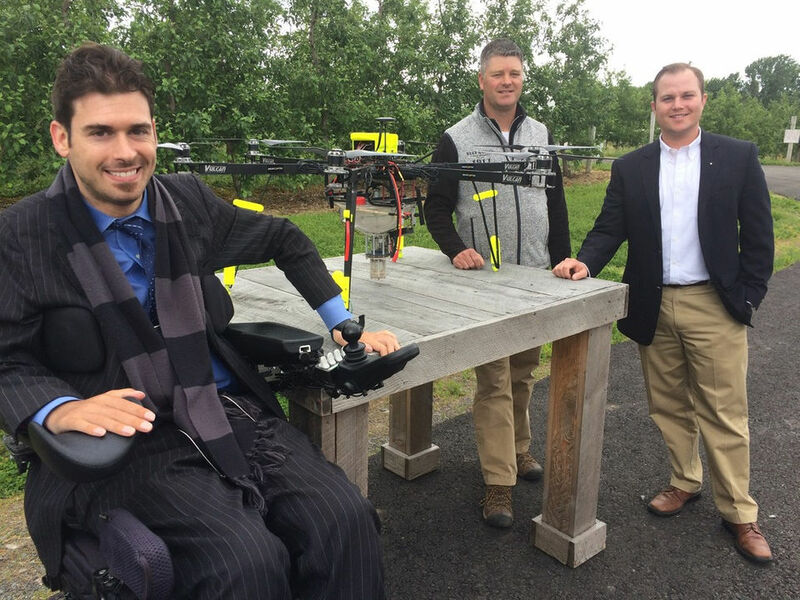 From left, Dropcopter co-founder Adam Fine, Beak & Skiff partner Peter Fleckenstein and Genius NY Director Jon Parry with the drone used to pollinate a portion of Beak & Skiff’s apple orchard in LaFayette. Dropcopter was a finalist in the Genius NY competition in 2018. 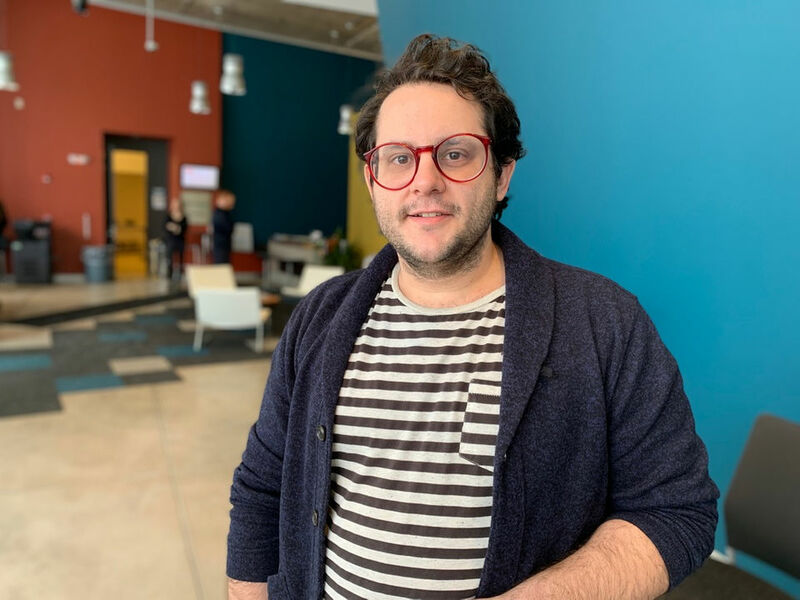 The five finalists in this year’s competition were chosen in December from among more than 350 submissions and have relocated to the Tech Garden, a business incubator run by CenterState CEO in downtown Syracuse. 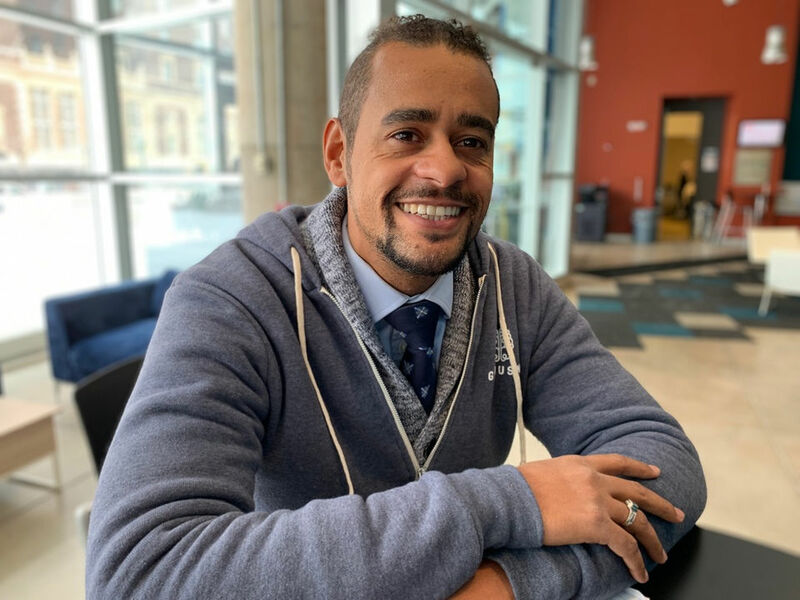 Representatives of the finalists will make pitches to a seven-member panel of judges on April 9, 2019, in the Grand Ballroom of the Marriott Syracuse Downtown. The judges will then select the winner of the competition’s $1 million grand prize. The other four companies will each receive $500,000. Funding for the program comes from Empire State Development, New York’s economic development arm. UAV DACH: Beitrag im Original auf https://www.uasvision.com/2019/02/07/3m-genius-ny-business-competition-5-finalists/, mit freundlicher Genehmigung von UAS Vision automatisch importiert. Der Beitrag gibt nicht unbedingt die Meinung oder Position des UAV DACH e.V. wieder. Das Original ist in englischer Sprache.